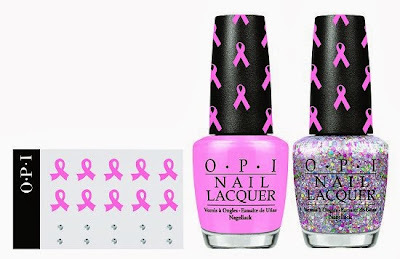 OPI Pink of Hearts - $19.95 - OPI’s seventh annual limited edition Pink of Hearts promotion features the classic sheer pink shade Pink-ing of You and the new sparkle-packed hue More than a Glimmer, as well as pink ribbon and crystal decals to embellish nails. 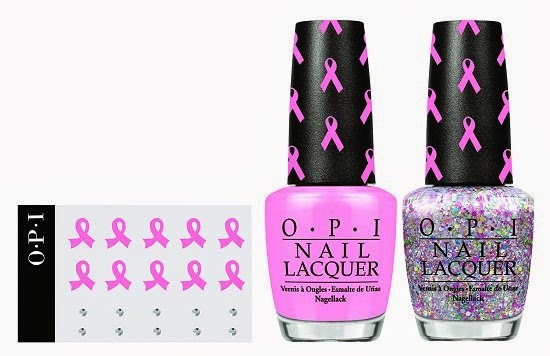 OPI will donate $5,000 from the sale to Rethink Breast Cancer whose mission is to continually pioneer cutting edge breast cancer education, research and support that speaks fearlessly to the needs of young women - www.rethinkbreastcancer.com. Available at salons across Canada.